Indepedence Therapist: Kansas City Relationship Institute - Therapist 64111. Send A Message To Kansas City. Reoccurring arguments that cause bigger problems. The Lead Therapist at KCRI, Sally Hodges, also has additional education in Gerontology. She uses her education in geriatrics to advocate for and provide services for aging couples. Couples and families can benefit from aging informed services. Sally helps couples navigate what aging means for their emotional and sexual relationship and helps families with decision making and caring for aging parents. 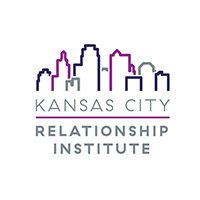 The different therapies used at Kansas City Relationship Institute include Bowen Family Systems, Differentiation and Self-Determination Theory. These therapies are rooted in autonomy, meaning that clients will benefit from both individual and relational growth. We offer a Relationship Investment Program that takes $50 dollars off each 50-minute session and $75 dollars off each 80 minute session. Our Relationship Investment Program ensures your commitment to the therapy process so that you see the increased benefits to your relationship at a low cost. Our services at KCRI also include Relationship and Individual Coaching and Couples Intensive Sessions. We offer 30-minute and 60-minute coaching sessions. Coaching Sessions help you clarify your values, your priorities, and your goals—as well as the factors that are keeping you from reaching your potential. Whether focusing on your relationship, work, health, motivation, or all of these, we can help you reach new heights in work, love, and life. Couples Intensive Sessions are ideal for couples who want to fast forward the change process or have a very specific issues they want to resolve. In our couple intensive program we meet with you and your partner in an intensive, individualized format over multiple days. This allows us to either jump-start the counseling process, which usually decreases the total amount of time couples are seen in counseling, or it provides a strong dose of marriage/couples counseling to get you and your partner back on track. **Both Coaching and Couples Intensive Session have separate cost. Please call or email to explore if these services are a fit for you. For any services, we are happy to provide you with a bill to submit to your insurance company. Our office is located at 4710 S. Cedar Crest Court Independence, MO 64055. Our clients live and work in all parts of the Greater Kansas City metro, including Leawood, Overland Park, Olathe, Johnson County, Lee’s Summit, Raytown, Fairway, Westwood, Blue Springs, Liberty, and Grain Valley.